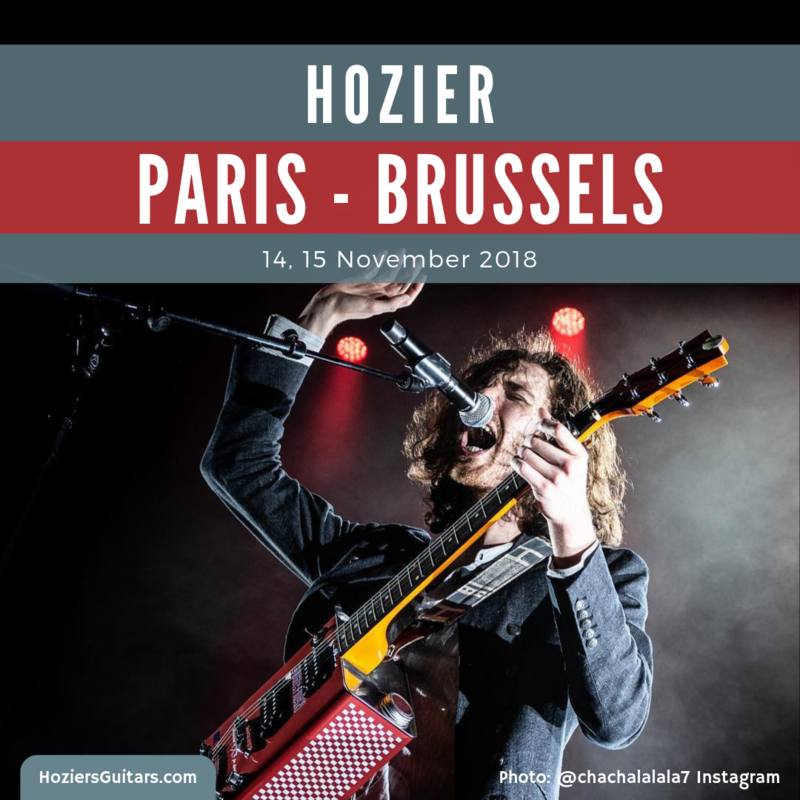 Hozier’s Europe 2018 Tour continued in Paris and Brussels on 14 and 15 November at Salle Pleyel and Cirque Royale. Suzanne Santo opened (in addition to performing with Hozier.) Her album, Ruby Red, can be purchased here. Here are the highlights from France and Belgium. Links in the venue names and text have more photos and videos. Review from Just Music with setlist. I am crushing HARD on @soozanto ✨ absolutely stellar performance, and just when I needed an infusion of new music. Hozier learns the value of clear instructions. User also has a video of Angel of Small Death and the Codeine Scene with close-ups of the band. This was Hozier’s first performance of Movement since the single was released earlier that day. Review with setlist from Dansende Beren. It’s always impressive how supportive the Irish communities around the world are of their fellow countrymen performing abroad. Additional photographs from Enola.be, Dimly Lit Stages, and Concert Monkey. Featured image: Photo: @chachalalala7 on Instagram . Graphic: Hozier’s Guitars. Tagged belge, Belgium, Brussels, bruxelles, cirque royale, france, paris, salle pleyel, Suzanne Santo. Bookmark the permalink.